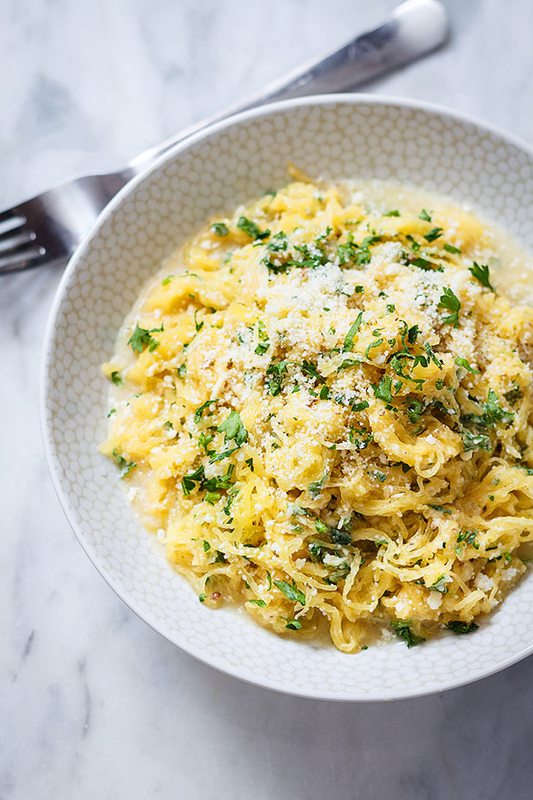 There's absolutely no heavy cream involved in this rich pasta dish. Get the recipe. 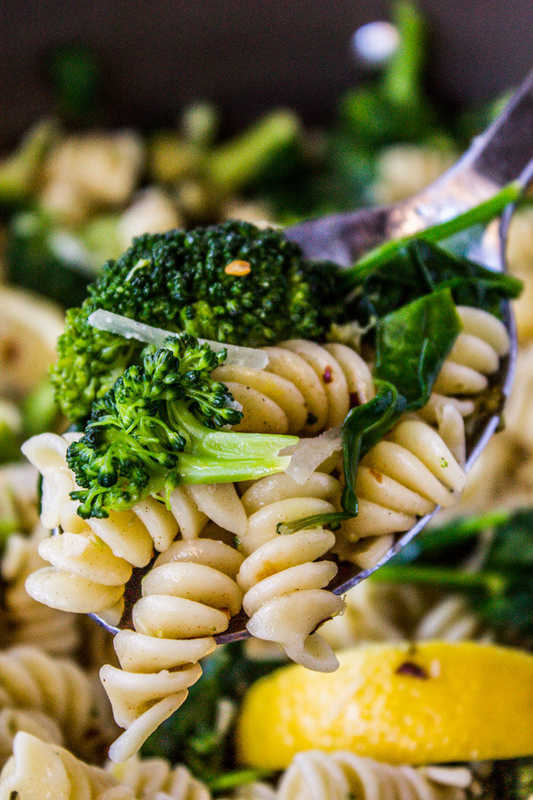 Grab all your favorite veggies, roast them in the oven, and call it pasta night. Get the recipe. 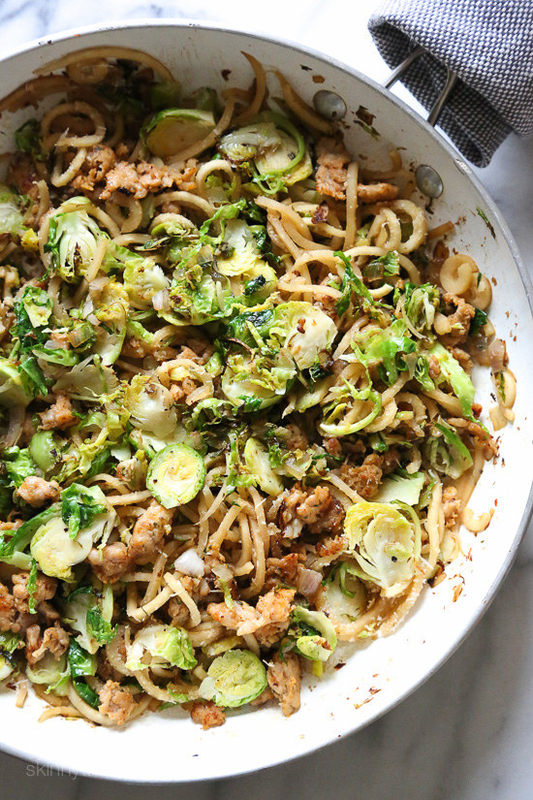 Who needs takeout when you can make this better-for-you take on an Asian classic? Plus, there's nothing bland about zucchini noodles when they're drowning in a sauce of chili garlic paste, fish sauce, lime, and ginger. Get the recipe. 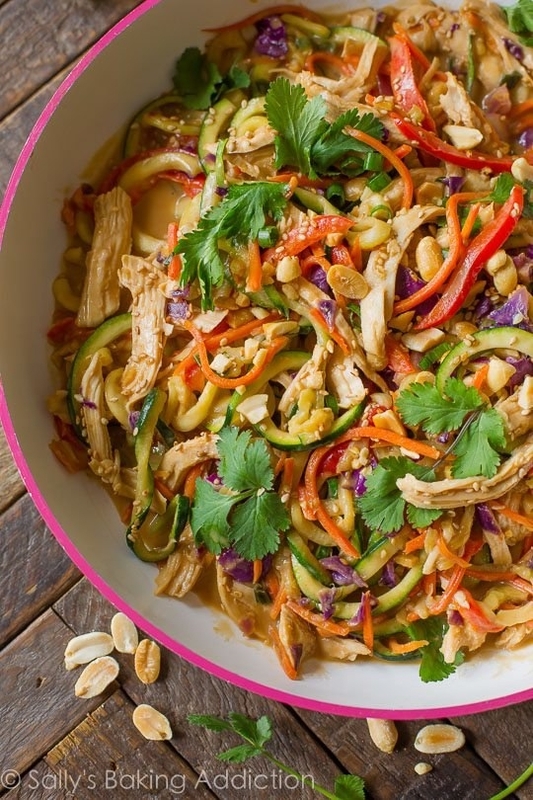 Cashew cream takes the place of dairy in this comforting fall dinner. Get the recipe. 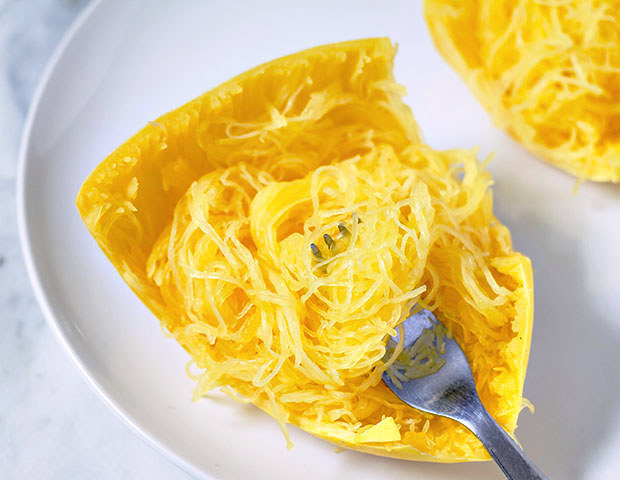 You don't even have to turn on the oven to whip up this garlicky, cheesy spaghetti squash. Get the recipe. 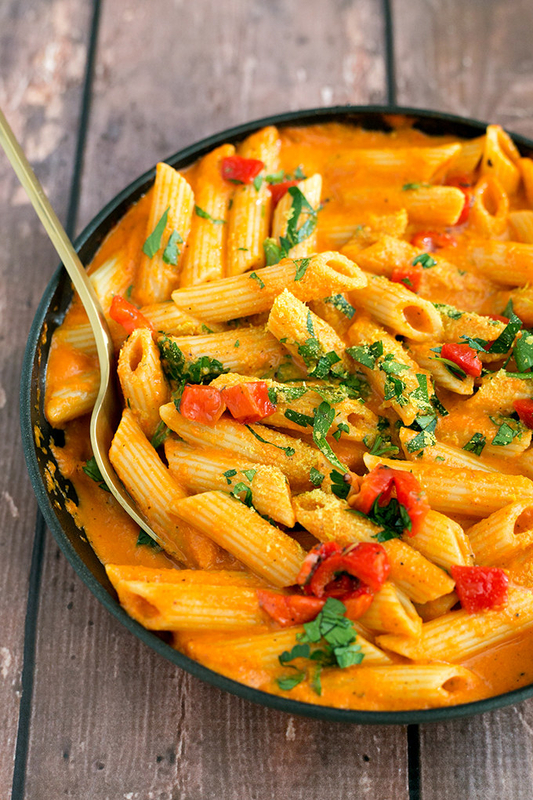 Non-fat Greek yogurt and sour cream makes this pasta taste totally decadent. Get the recipe. 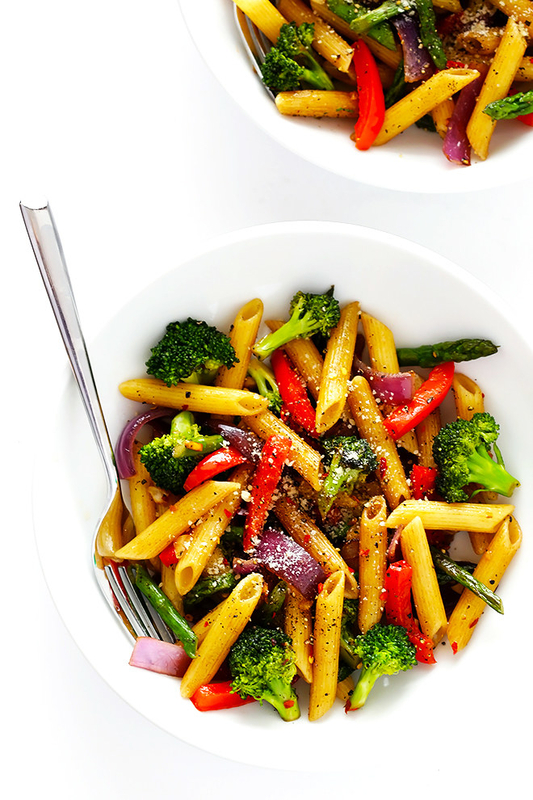 This whole-wheat medley is simple, veggie-packed, and full of flavor. Get the recipe. 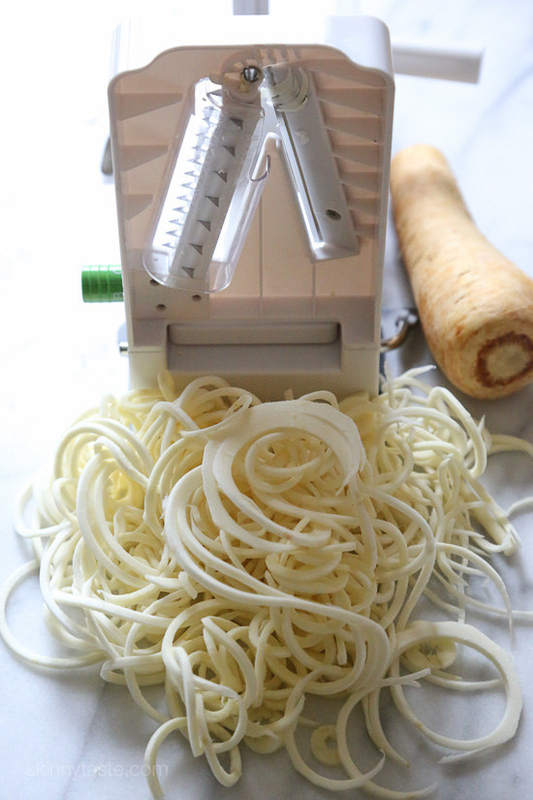 You can leave out the butter all together and make this rustic pasta with nothing more than good olive oil, garlic, parsley, and chili flakes. Get the recipe. 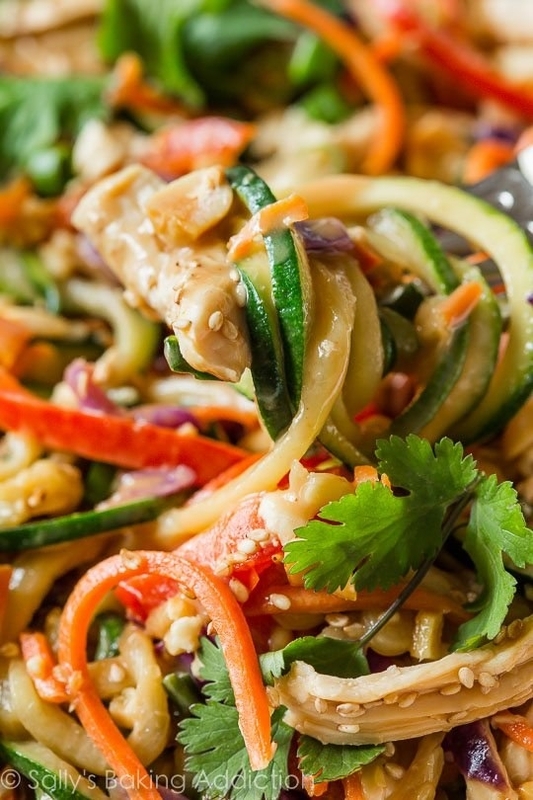 Packed with protein and veggies, these Thai-inspired zucchini noodles get a kick from a sauce made with peanut butter, low-sodium soy sauce, sesame oil, ginger, and Sriracha. Get the recipe. Take advantage of fall's produce and make this rich "alfredo" sauce with roasted butternut squash and milk. Get the recipe. This recipe has all the flavors of classic carbonara, but it's loaded with roasted veggies that'll fill you up without weighing you down. Get the recipe. Ready in about 20 minutes, this simple spaghetti gets an upgrade from eggplant, zucchini, pepper, and tomato, all sautéed into melt-in-your-mouth goodness. Get the recipe. 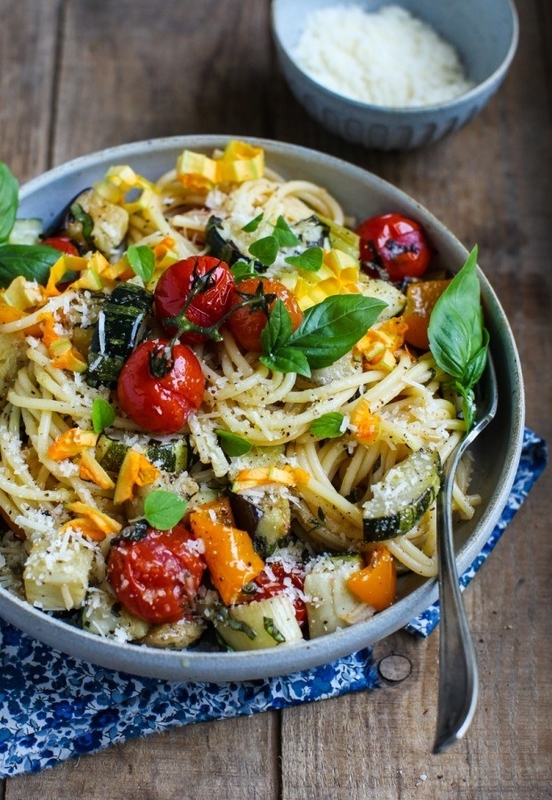 Angel hair pasta gets bulked up with spiralized zucchini, carrots, and squash. 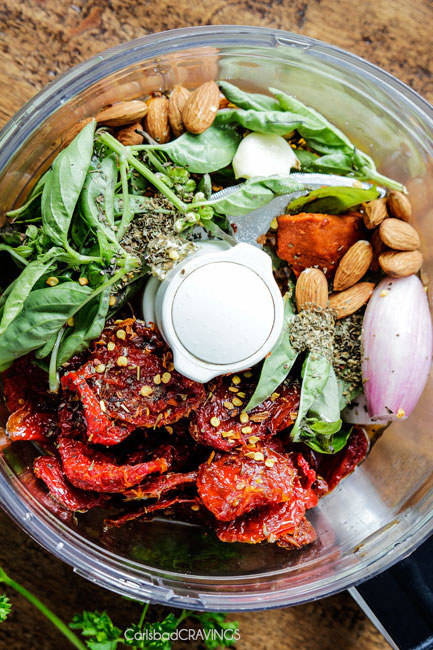 Then the whole thing gets tossed in nutty pesto (which you can whip up from scratch or buy pre-made). Get the recipe. 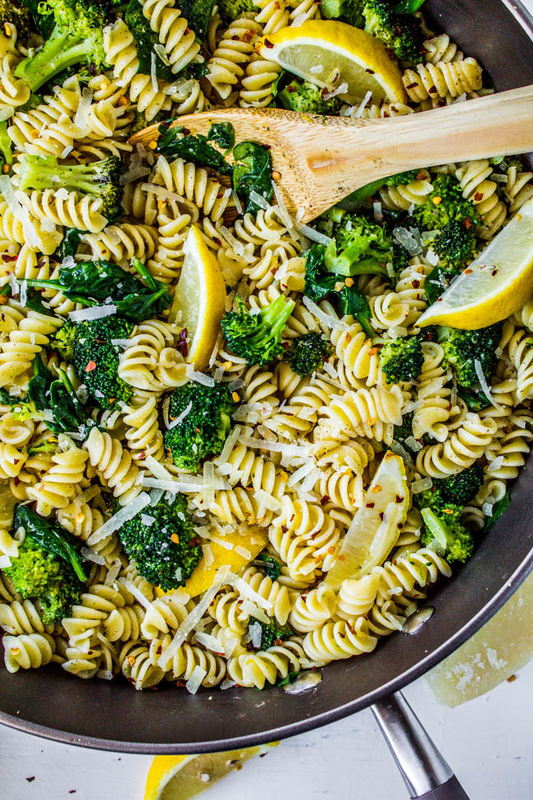 Pop your favorite fall veggies into the oven while the pasta cooks, then toss it all together on a sheet pan with olive oil and Parmesan cheese for a feel-good weeknight pasta you'll want to make time and time again. Get the recipe. 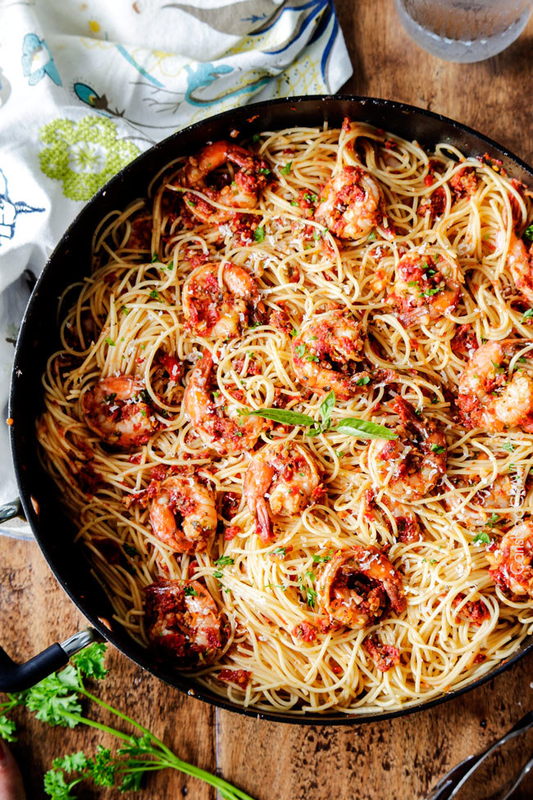 Who knew you could make such a fancy dinner in just 20 minutes? Get the recipe. 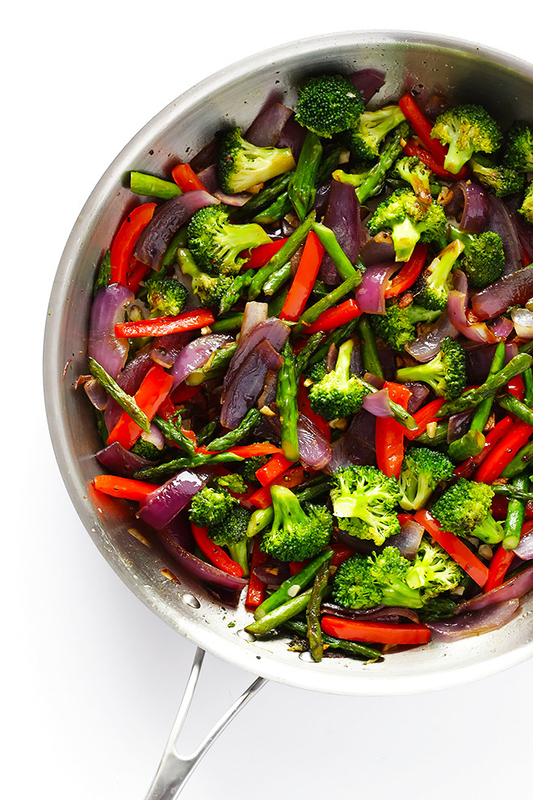 This vegetarian meal is loaded with roasted broccoli, and it gets a zesty-hot kick from garlic, lemon, and red pepper flakes. Get the recipe. 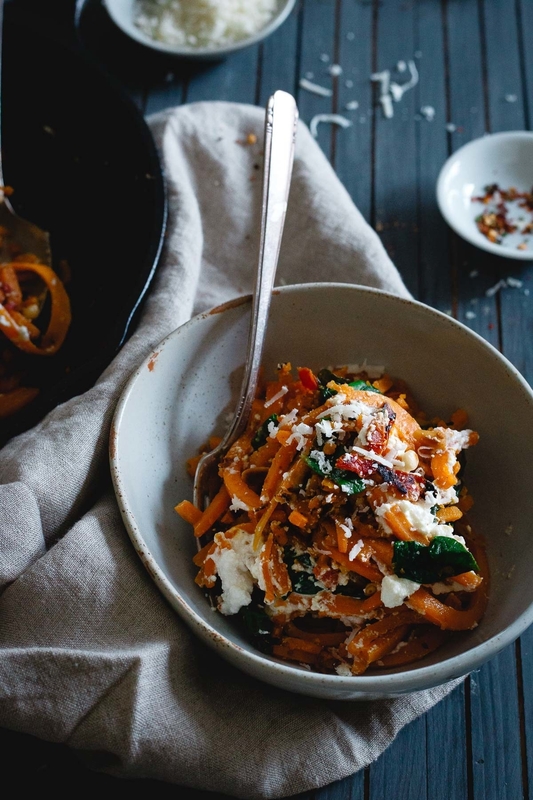 Sauté spiralized butternut squash for about 5 minutes in garlic and olive oil and it'll become slightly-soft like perfectly al dente pasta. Get the recipe. Look! 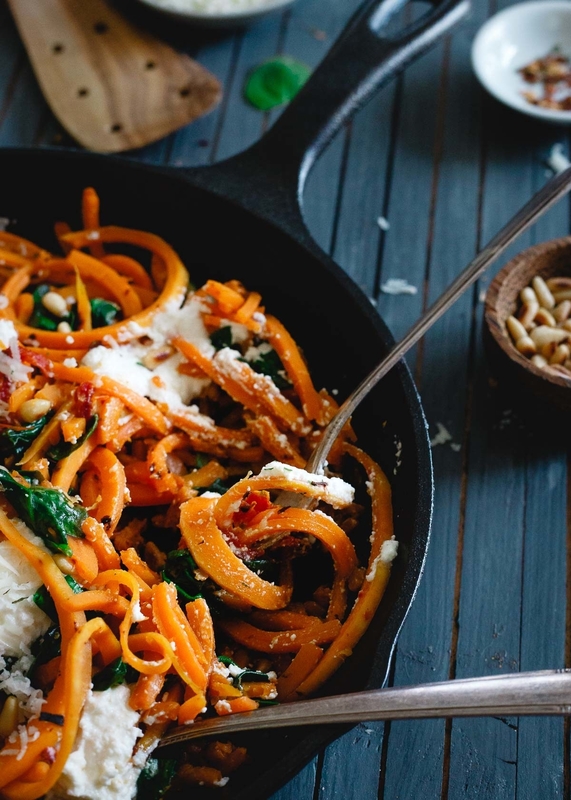 It's everything you love most about fall in a single skillet. Get the recipe. You've never had gnocchi like this before. Carrots take the place of potatoes in this light and airy recipe that gets dressed in a sauce of butter, garlic, and sage. Get the recipe. 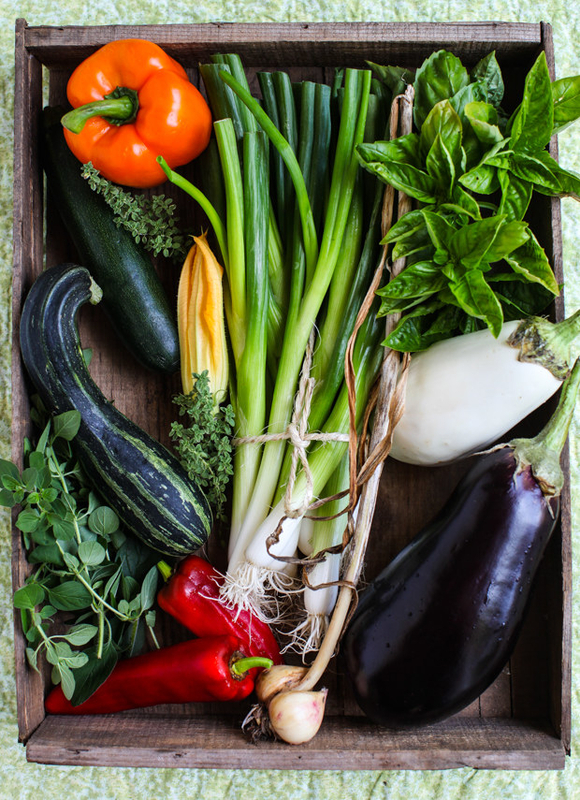 Bookmark this one for meatless Monday. Get the recipe. 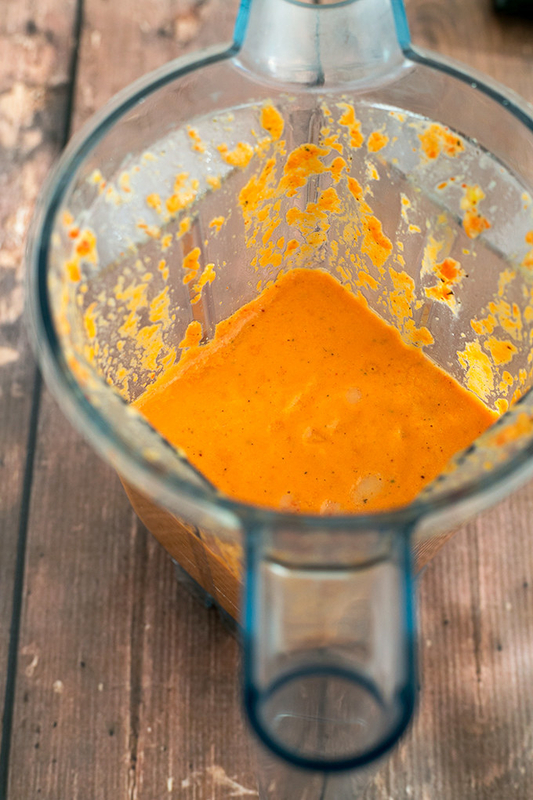 This red pepper blender sauce is made with nut milk, tomato passata, and nutritional yeast...and you'll want to put it on just about everything from now on. Get the recipe.